Welcome to MW Dentistry & Esthetics! 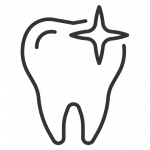 Since 2004, our office has provided dental care in Anderson, under the name Father Daughter Dentistry. We’ve got a new name now – and a new website – but we’re still the same team. “Doctor Molly” and staff look forward to many more years of providing top-notch dental care and esthetic services to residents of Anderson, Noblesville, Fishers, Indianapolis, and other areas in Central Indiana. WE DO MORE THAN YOUR AVERAGE DENTIST. In addition to being a dentist, “Doctor Molly” is also a licensed esthetician. Make a selection below to learn more about our service options. Regular preventive dental care keeps your teeth and gums healthy. Aging is inevitable, but there are ways to recapture a more youthful appearance.